Rabbi Henry Zoob is a man of grand ideas, a propensity for learning, and a passion for Tikkun Olam (Repair of the World). 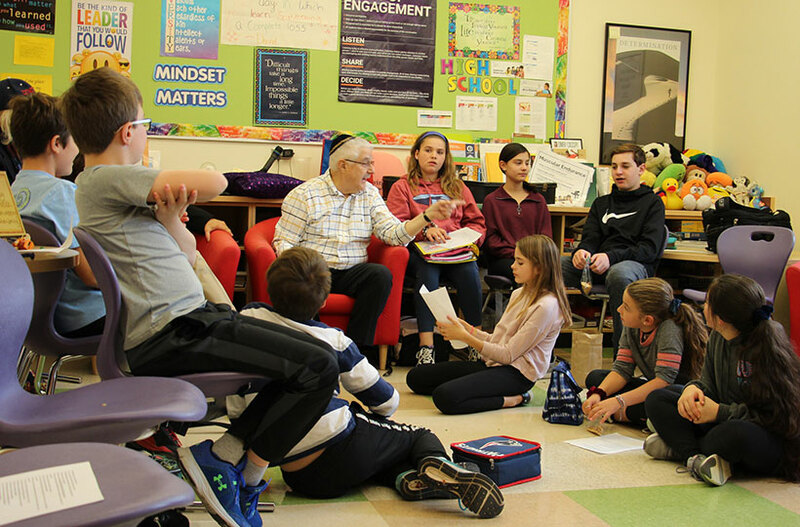 In 1982, under the leadership of Rabbi Zoob, a group of interested individuals from Reform synagogues in the Boston area began meeting to discuss plans to establish a Boston Area Reform Jewish Day School. They spent a great deal of time trying to articulate the distinguishing principles for their proposed school. One of those was instead of separating Jewish studies from secular subjects, the norm for most other day schools, they wanted a school where Judaism was infused into every aspect of the curriculum. A second principle was an emphasis on social action, a hallmark of Reform Judaism. They also felt strongly about creating an environment that addressed and supported gender equality. Finally, they envisioned a school that would include intelligible and creative worship and ritual; kavanah (heartfelt intention) was their goal rather than rote worship. In their mission statement, Larry Gillick, a member of the Founding Committee, coined the phrase “critical minds and compassionate hearts,” a phrase describing the overall goal of a Rashi education, an objective of the founders which has been at the center of our endeavor for over three decades. 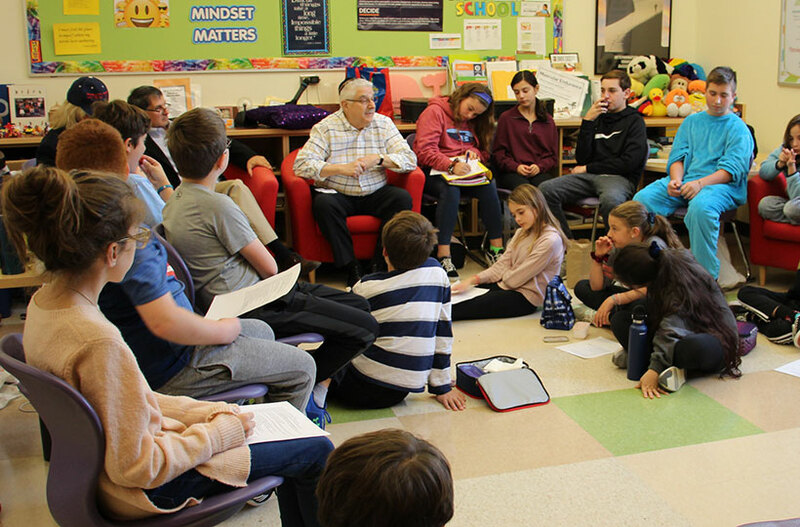 Despite the existence of these anti-day school attitudes among some Reform Jews, with the help of a number of Boston Reform rabbis*, cantors, and lay people, Rabbi Zoob and the Committee of Founders were able to lay the groundwork for the first Reform Day School in the Boston area and one of the few in the entire country. “A lot of people along the way helped to found the school,” said Rabbi Zoob. “Rabbi Rim Meirowitz, our first Head of School who joined us a year before the school opened, played a major role in getting the school off the ground. 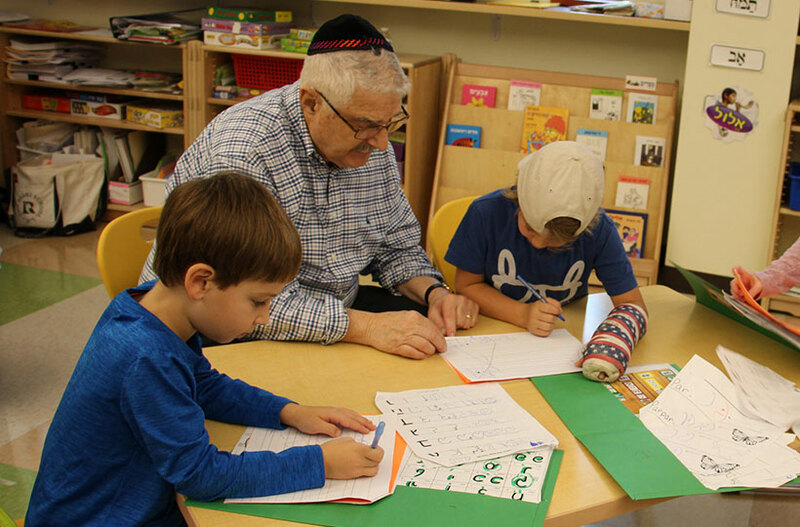 Without him, we would not have succeeded.” In the fall of 1986, four years after Rabbi Zoob initiated his dream of establishing a Boston Area Reform Jewish Day School, The Rashi School opened its doors to about twenty kindergarten and first-grade students at Temple Shalom in Newton. Rabbi Zoob was the Founding President of Rashi, but in the first year of his presidency, Rabbi Zoob’s temple, Temple Beth David of Westwood, suffered a devastating fire which destroyed the synagogue building along with its sacred scrolls. As a result, Rabbi Zoob decided to step down as president to tend to his grieving congregation as they sought to sustain synagogue life without a building and begin to make plans to rebuild their house of worship. Fortunately, Burt Goldfarb, a member of Temple Beth Avodah in Newton took over the reins to become the second president of Rashi. Now, thirty-two years and six temporary locations later,* Rashi in its splendid new Dedham campus adjacent to NewBridge on the Charles, a first-class Jewish senior living continuum of care community, is a thriving, nurturing community filled with students, leaders, and critical thinkers who, above all else, are making a difference in our world. Rabbi Zoob (front row, third from the left) with former board members at an event in 2016. 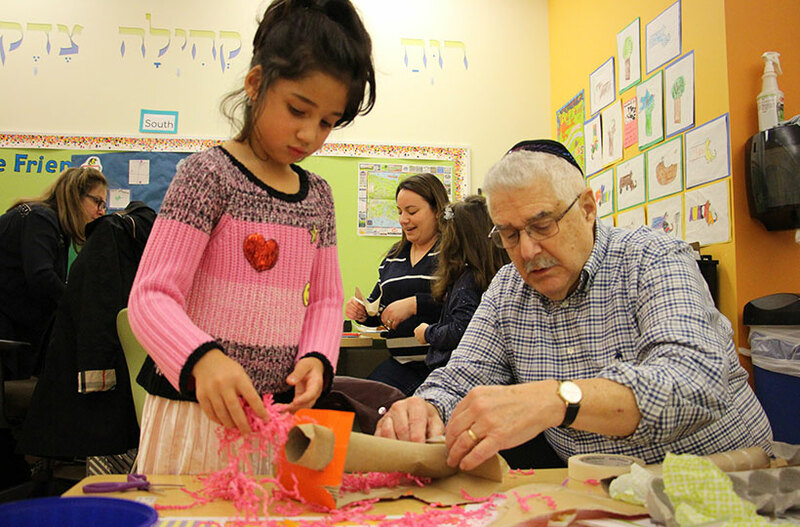 Rabbi Zoob is an honorary lifetime Board Member at Rashi, and he is still very much involved with the school. 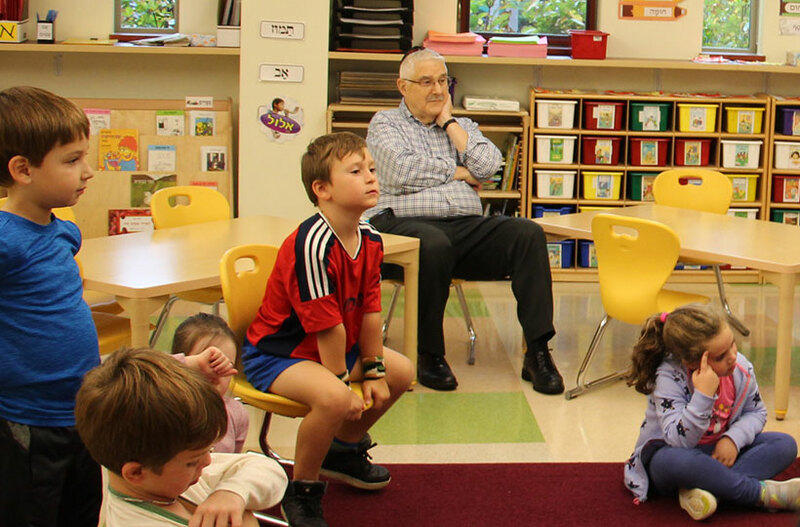 On any given Friday, you can find him helping first-grade students converse during Ari Marcovski’s Hebrew class. You can also spot him working with Janie Brauer’s students in small reading groups followed by story time when he reads a Sabbath story to the children during their snack. Why does he do it? “I love to be with the children. To borrow a phrase from Barry Shrage, ‘I love the Rashi School,’” he simply stated. A selfie with Class President Lexie S.
*Early supporters of The Rashi School include Boston area rabbis Dov Taylor, Paul Menitoff (New England Regional Director of the UAHC), Robert Miller z”l, Bernard Mehlman, Donald Splansky, David Mersky, Herman Blumberg, Ronne Friedman, Murray Rothman z”l, and Sandy Selzer. *The six previous locations of the Rashi School are Temple Shalom in Newton, the Bigelow School in Newton, Mishkan Tefilah in Chestnut Hill, the educational wing of St. Mary’s Church in Dedham, the High Rock School in Needham, and Aquinis College in Newton.